Jason Miles and the entire Simcock family took part in the Church Stretton mountain bike marathon at the weekend (Jacqui in the 75k event while Phil took on the 25k route with their girls Ciara and Iona). The sun was shining for a short time before somewhat inevitably, the rain arrived…. Jacqui had a new bike…. New bike, 75K race, that will work? Perhaps not. I took my brand new un-ridden, larger framed, bike to the Scott Marathon. I enjoy these events as they are a chance to go on a reasonable distance MTB ride without the challenges of navigating myself over moorland and also support, if required. It quickly became evident the different size, weight, gearing and not quite appropriate tyres were all something I’d need to work at. I struggled up the hills, sped down and tried to manage this new shape around some excellent single track. I crashed on more than one occasion and minced around an extremely wet muddy wooded single track in, sometimes torrential, rain. I did manage to complete just about all in one piece. The route certainly tried to take in a variety of riding so thanks to the Scott team for giving my new bike a good first outing! When Phil turned 40 (not that long ago really, to be fair to him), we all went down to Shropshire for a bit of a party and a bike ride. We rode the trails around The Long Mynnd and afterwards I concluded that parts of that ride contained perhaps the best stuff I’ve ever ridden in the UK. 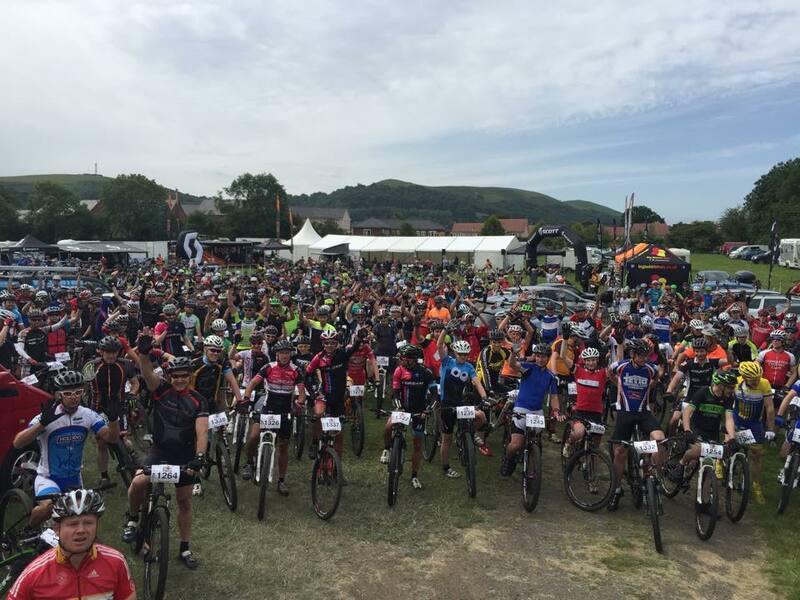 Last weekend I found myself riding those same trails again, this time in the Scott MTB Marathon. Sometimes the second time around spoils it, but not this time. The Long Mynnd is as mind-blowingly brilliant as it was last time. A truly fantastic place to ride a mountain bike. The event itself was typical of the Marathon series – exceptionally well organised and well supported by sponsors. The course, all 75K of it was very tough and just what I needed before I head off to Austria for the Salzkammergut Trophy. A particular highlight was being able to share the ride with Dave Haygarth – even though I’ve known Dave for years we hardly ever get to ride together (all to do with time/distance/duration compatibility issues) so that was bloody good fun. But those Long Mynnd trails….wow. What do you mean you’ve never been? Get thee to Shropshire forthwith. After the marathon I got changed into clean shorts, pulled my road bike out of the car and me and Phil rode home back to Manchester. 102 miles of flattish roads might sound easy…..